This is my latest scintillating read. The wrinkled sheet underneath (yes that is on my bed) is basically a metaphor for Piglet’s current sleeping patterns. Well, who irons a sheet anyway? I mean, who even owns an iron? As I write, Piglet is sleeping soundly at my feet in his bouncy chair. To look at his angelic face, anyone would assume that the last thing he has is a sleep problem, but appearances are deceiving. For reasons unknown, today he has been sleepy all day and whinging loudly whenever awake. I have therefore spent most of the day feeding, rocking or walking him to sleep; the latter around the industrial estate encircling Wembley Stadium in the wind and driving rain, with a nearby concrete-making works blowing bits of sand and gravel into my face at approximately the speed of a tornado whilst I clung desperately to the pram to avoid it being whipped up into the air and Piglet having an unintentional Mary Poppins moment. What a ledge. Would not be at all alarming if you were walking through the woods and ran into this chap. IMAGINE IF IT STARTED CHASING YOU. I might add that despite appearances, this picture is not a grainy CCTV shot of two people the police want to speak to regarding a series of armed attacks on innocent dog-walkers. In a further attempt to give Piglet some positive sleep associations-and of course to get him interested in all things literary-I have also been reading him a series of bedtime stories on the theme of bedtime and night time. Hold on, no not that one. I know, it looks like it may not be a whole lot better. I found this gem yesterday in the library. It was the first book I picked up, but I had to leave quickly because there was a two year old child trying to attack Piglet. I kid thee not. Piglet was-unusually and only because he was in the pram and we had been walking-asleep. As I wheeled the pram through the library to the children’s section, I heard a small voice saying “baby! Sleepy baby!” This was followed by the owner of said voice following us-in full view of his mother who did absolutely nothing about the situation-poking Piglet with a soggy biscuit-covered hand, and then blocking the pram from the front whilst clinging onto the underside of it so that I very nearly had to actually ram the little blighter to get rid of him. Instead, I announced in my sternest teacher voice that the baby was sleeping, thank you very much, and much as we both appreciated the help manoeuvring the pram, he did not wish to be disturbed. 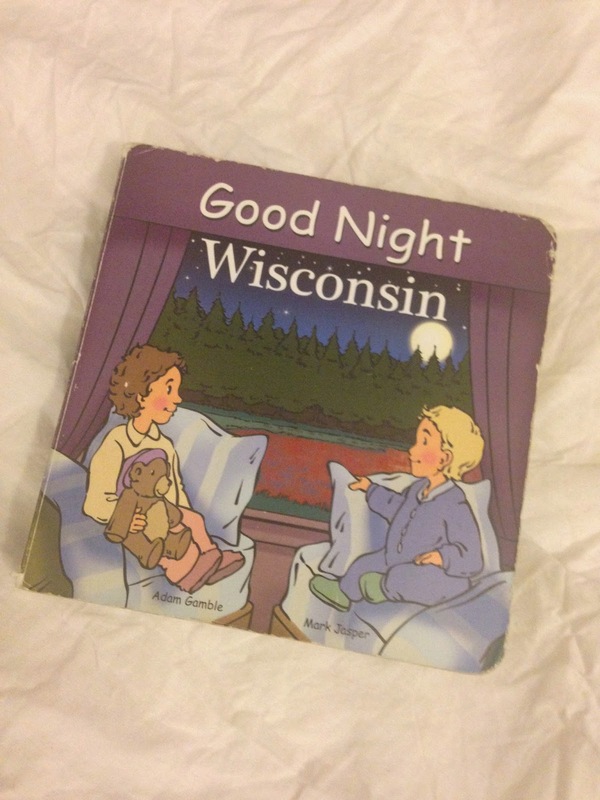 I then made a very quick exit and hence Piglet is now stuck with Good Night Wisconsin as his bedtime story. Interestingly, the back cover says that there are other, similar books in the series, not just other states of America, but other countries, so I’m not sure why Wembley Library only seems to stock the one about Wisconsin, which is somewhere that I doubt many of the locals have been, not even me, although I did confess to Piglet familiarity with some of the places and items mentioned (“Lake Michigan! Mummy’s been there Piglet! And look! They’re harvesting cranberries in that picture. Mummy has a carton of cranberry juice in the fridge!” Clutching at straws). 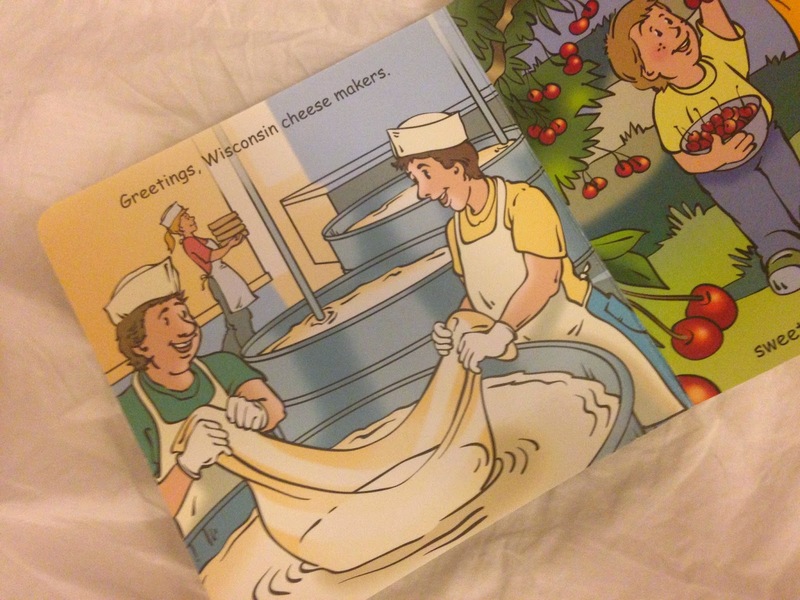 My personal highlight of the book, though, is the way that children are encouraged to greet everyone in Wisconsin in the same way that In the Night Garden encourages them to greet and say goodnight to a family of miniscule wooden pegs and a pretend airship. Goodness knows what randomness awaits poor Piglet in his dreams. It really is no wonder he has such trouble sleeping. They are indeed! Thanks for hosting and commenting. No I haven’t! I would be intrigued to try it, but also a bit scared I think! Piglet wants the same book every night at the moment. It’s a book of vehicles, and he just points at them and makes me say their names. I’ ve been to Lake Michigan too! 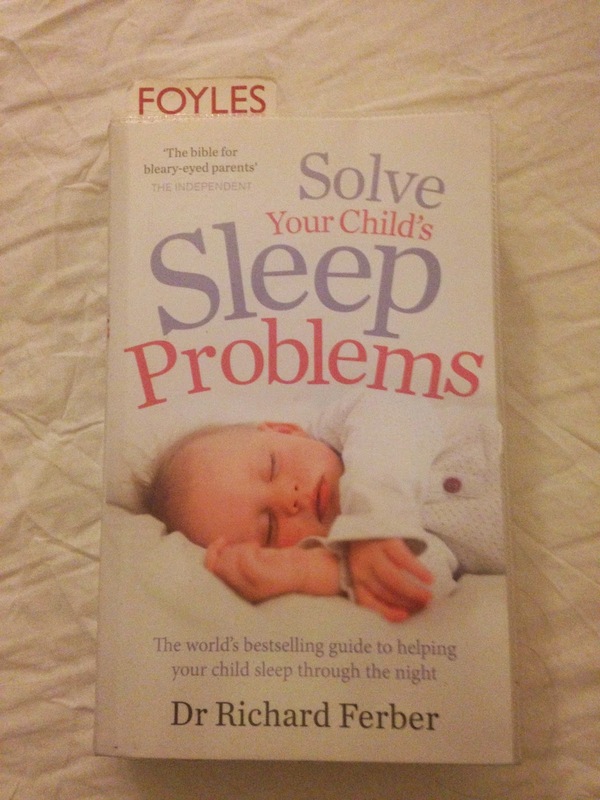 My little one is like this – very difficult to get her to sleep enough in day or night. Eldest is a good sleeper. My sister recently sugested I try the white noise apps again, which are currently working on her baby. Tried that with both kids when they were newborns, to little effect, but gave it a go. Picked an ocean one recommended as good for toddlers. She did not go to sleep. She DID start singing ‘row your boat’ at the top of her lungs! Thanks so much for joining us on #FridayFrolics. Hope to see you next time! Haha! I will note that down as one not to try then!